The Alpine Blanket has a beautiful texture and you can use it all year round. Solid warm blanket will be perfect not only for autumn, but also for evening chill or trip outside the city. Pattern is foreseen as a baby blanket, but you can easily adjust size for a bigger one. As you can see, it looks amazing no matter as many colour you will use. The Link to the pattern is below. 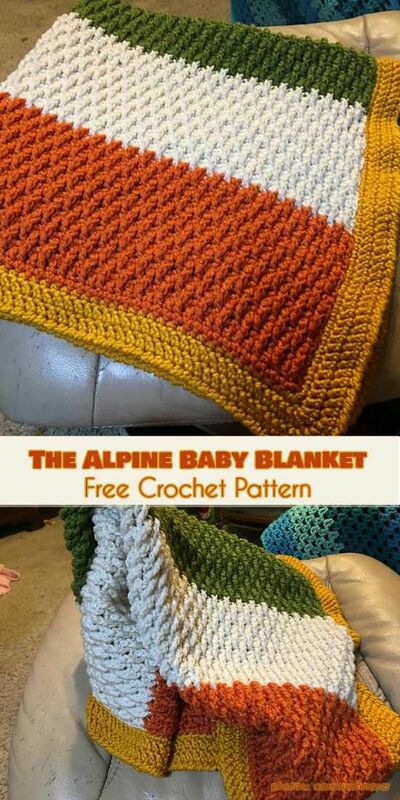 The Alpine Blanket – visit the free pattern site.